Electrician Marietta GA - We are committed to providing the trusted master electrician of the area when you search best electricians near me. We are committed to providing the trusted master electrician of the area when you search best electricians near me. We satisfy single households, families and businesses electrical essentials. 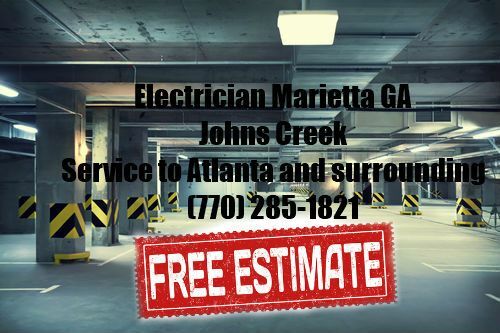 Originally when we began to service Marietta, we decided to become Electrician Marietta GA. We were simply giving what is requested most an electrician in the area. Then as we always prepared, we received requests from Atlanta, Johns Creek, Sandy Springs, GA and surrounding the area in Georgia. Residential, commercial, and industrial electrical services is apart of our licensed and insured electrical professional expertise. We handle electrical wiring and rewiring, electrical remodeling, electrical installation, electrical outlets and switches, electrical lighting upgrades, and service panel upgrades. Our master electrician has been available for service as a Georgia electrical contractor for over a decade. Industrial buildings, houses, and commercial properties in the Johns Creek, Atlanta, Sandy Springs, Marietta and surrounding areas all experience emergency lighting, electrical repair, maintenance, electrical code correction and electrical inspection. We enhance these issues with the necessary protocol for Cobb County, Dekalb County, Fulton County, and Gwinnett County to have valid practical cost-effective electrical solutions with long term safety in mind. We welcome all people searching electricians near me free estimates by phone or an estimate ticket at no charge. Even if you want an electrician for a project or an emergency and you already have the plan of exactly what you need accomplished, we can give you the lowest rates for the hour or project. 24 hours a day and 7 days a week we operate so you can get the information you want from honest on time clean and courteous electrical contractor. Our pleasure is centered around neat and high-quality electric work for lasting customer relationships that trust in us to exceed their expectations. We are available to provide a full range of electrical services, residential and commercial. Lights Over Atlanta is an outdoor lighting installation company providing lighting options for: Christmas, landscapes and events.